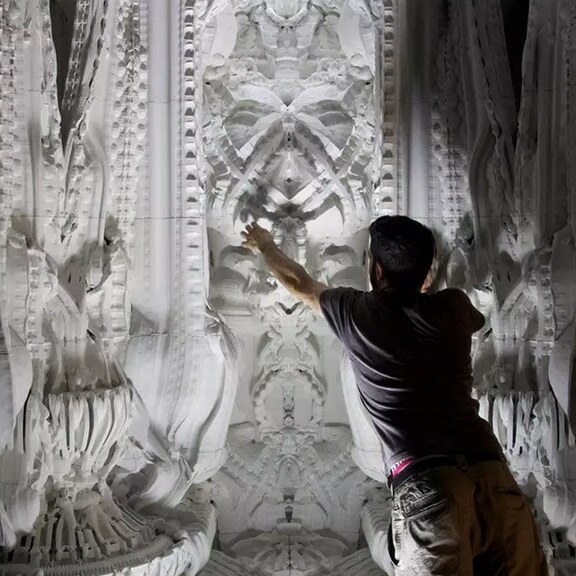 Created by Michael Hansmeyer and Benjamin Dillenburger, Digital Grotesque is the first fully immersive, solid, human-scale, enclosed structure that is entirely 3D printed out of sand. This structure, measuring 16 square meters, is materialized with details at the threshold of human perception. Every aspect of this architecture is composed by custom-designed algorithms. Filed under architecture, printing, technology. Tagged 3d printers, architecture of the future, Benjamin Dillenburger, digital grotesque, future technology, Michael Hansmeyer, printing.